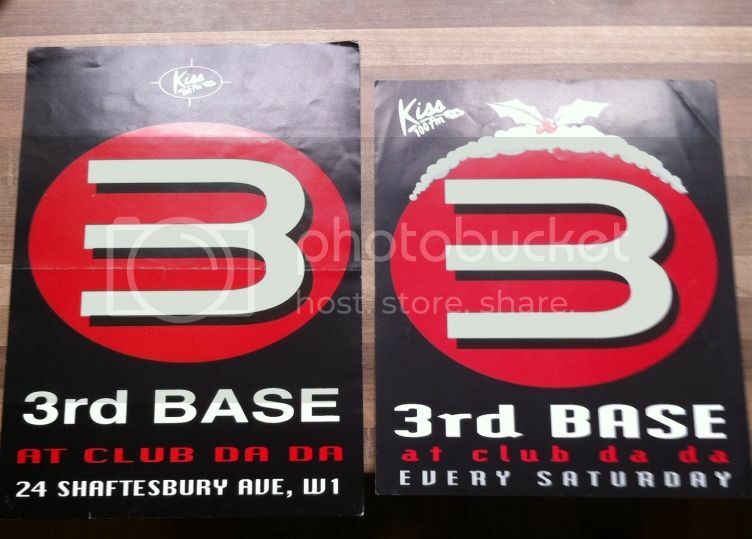 3rd Base, London. Any flyers available? - It's all about flyers! I used to frequent 3rd base a few times in London, Camden I think but woz in the daze of microdots so could've been anywhere as was an out of towner at the time. Anyone got some flyers they could upload?? Re: 3rd Base, London. Any flyers available? Is this it bud ? Let me know if you some hi res scans sent. Whilst having a sort out today, I came across these. Fantastic to see the club did exist. I have searched for ages online but found no info. TREBOR74 wrote: Fantastic to see the club did exist. I have searched for ages online but found no info. A GAZILLION whoop whoops for you sir, you're one of a kind! They are proudly situated front of my dex. I wonder if the club still exists? Might have to take a trip down memory lane, and will upload any pics of my find. TREBOR74 wrote: I wonder if the club still exists? Might have to take a trip down memory lane, and will upload any pics of my find. TREBOR74 wrote: Thanks again matey. Sorry for the delay, I think I have more still unscanned but may be a few months more til I get round to them!